AcumaticaRMS is a suite of integrated software applications targeting the retail and distribution markets. Acumatica Retail Management System (AcumaricaRMS) is a unique suite of applications targeting the retail, eCommerce and distribution markets. Built using the Acumatica ERP framework, AcumaticaRMS allows clients the flexibility to manage back office operations in the cloud or locally. Further, as conditions dictate, operations may be moved between the cloud and a local environment at will. This, unique approach allows complete scalability to meet the rapidly changing needs in this highly dynamic market. Built using state of the art technology and many years of industry experience, AcumaticaRMS provides out of the box integration and encompasses all aspects of modern retail. Contact us today for a demonstration on how AcumaticaRMS can let you get back to running your business. 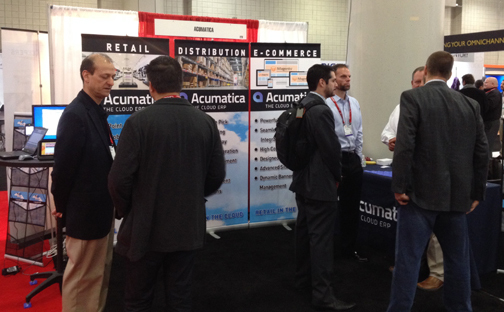 On January 14th, 2014, AcumaticaRMS was introduced at the National Retail Federation trade show in New York City. The NRF Expo is the largest retail trade show in the world. Acumatica, FusionRMS and CurveCommerce teamed up to introduce AcumaticaRMS a fully integrated omnchannel offering targeting the SMB retail market. Featuring fully integrated eCommerce, POS, WMS and ERP, AcumaticaRMS presents a compelling value propositions. Inventory and customers are the same across all channels without duplicate entry. Seamless, automatic integration without manual intervention. One solution covering all operational aspects. Components can be added as needed and financially justified. 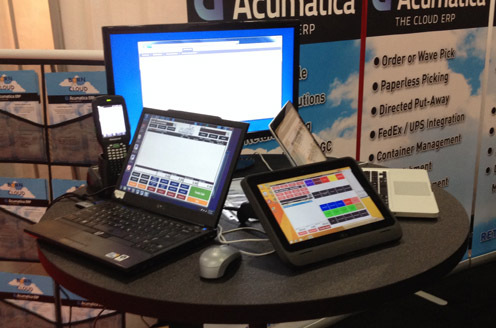 Check out AcumaticaRMS’s register….works on virtually any device! Our network services allows you to focus on your business, not your infrastructure. After all, you drive a car but don’t employ a mechanic. Should your network be any different?